In order to start tracking conversions, you need to create a conversion code and a tracking link associated with that conversion code. 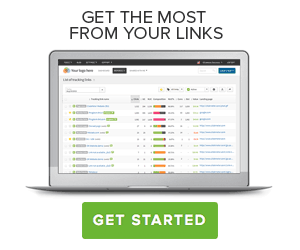 Many tracking links can be associated with the same conversion. You can create and include just a conversion code for each kind of conversion you have (usually just one) this is one time action, eg. : if all purchase in your website lead to the same thank-you (confirmation) page then you just need to insert the code once in this page for all the tracking link you create. Give the conversion a name for your future reference. After filling the form, click on the "Create conversion code"
Fill the form specifying the destination URL as the purchase/sign up page. Choose the conversion to be associated with the conversion link. Click on the "Create link" button at the bottom. Use this tracking link to redirect the visitors to the product page to track the conversions. When a new visitor is redirected to the page, a cookie will be added to his browser. When the user reach the confirmation page then the cookie is read from ClickMeter and the conversion is recorded.